The European Offshore Wind Deployment Centre (EOWDC) is Scotland’s largest offshore wind test and demonstration facility which has been developed by Vattenfall-owned Aberdeen Offshore Wind Farm Limited and is supported by AREG. 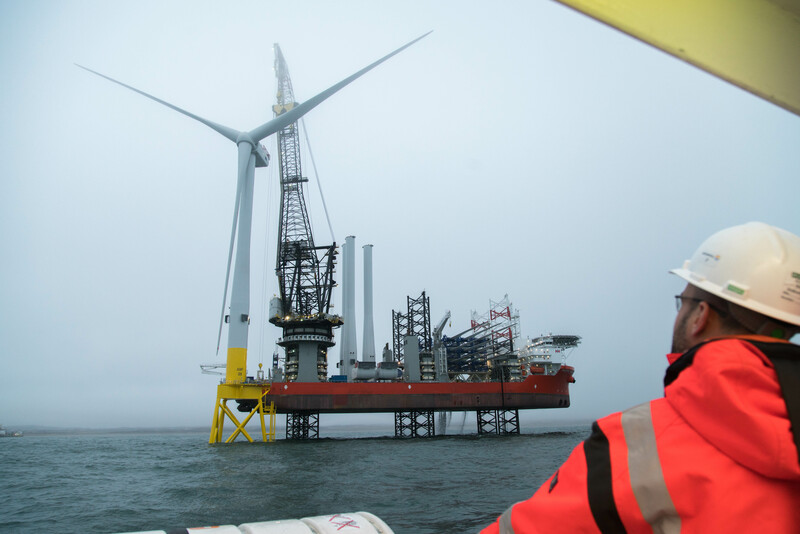 Located in Aberdeen Bay, the innovative 93.2MW 11-turbine offshore wind scheme is trialling next generation technology and boosting the industry’s drive to competitive clean power. Underlining the vision for the more than £300 million EOWDC is the installation of V164-8.4MW turbines paired with suction bucket foundations. An industry first. First power started generating in summer 2018 with the project operating for 20 years. Have an installed capacity of 92.4MW. Annually displace 132,977 tonnes of CO2. Remove the equivalent of 730,492 cars from UK roads throughout its lifetime. Produce enough electricity every year to meet the equivalent annual demand of 78,529 homes. Generate the equivalent of 70% of Aberdeen’s domestic electricity demand and 23% of Aberdeen’s total demand.